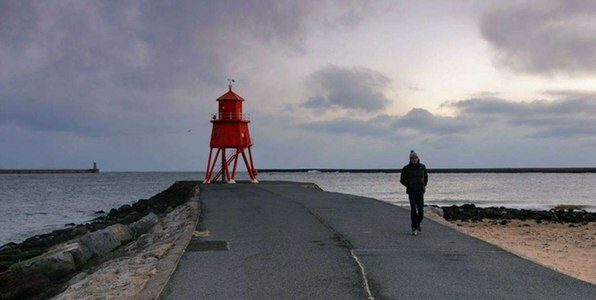 Hospitality and Hope is a local charity working at grassroots level in South Shields, South Tyneside in the North-East of England. Founded in 2002 with help from local church volunteers who identified a need to support homeless and vulnerable people in the area. They began by walking the streets and offering hot drinks and sandwiches to those in need. From there, a local organisation offered the use of their car park where hot food was given from the back of a van. Following the successful trial, they offered the use of their hall. Links with other organisations were developed, support extended to four soup kitchens and premises offering space for various core services. Since then, we have grown and developed, with the volunteers always at the centre of what we do. The last few years have been a period of rapid and exciting growth, with the launch of our supported accommodation unit, our community café and new wellbeing activities for our clients. Our team of Trustees, staff and volunteers, are passionate about the work that we do. Moving forward we need to improve and extend further the benefits to our client groups. Hospitality and Hope currently supports over 2,600 vulnerable individuals and families living on the margins of society, many are experiencing poverty and some are forced to sleep rough, suffering alcoholism, drug addiction, repeated spells in prison and mental health issues. Clients are living in a cycle of deprivation, with poor physical/mental health and living on the fringes of society. Demand is increasing yearly and the rollout of Universal Credit has impacted the area greatly, particularly during school holidays. From our main Operations Centre in Hampden Street, we operate the South Tyneside Food and Clothes Bank and a Soup Kitchen service. In addition, clients are also welcome to use our shower and laundry facilities if required. These services have an enormous impact on the local people who use them, giving them an important breathing space at a time of great anxiety. From there, we aim to give people 'Hope' by helping them to break the cycle through help, signposting and through the introduction to various wellbeing programmes. Through our Hampden Street Centre, we offer hot meals two days per week for up to 100 individuals, a food bank distributing on average, 25 food parcels per week, as well as access to toiletries, clothing, bedding, shower and laundry facilities. The Community is a supported living project for up to five males. A Community Housing Project Leader is employed to oversee and care for the residents. The housing project promotes a spirit of community living, eating, cooking and sharing as a group but having their own private space/bedroom with an overall aim to nurture residents to live good and purposeful lives, and encourage/equip each in education, training and employment. The men will engage in the Hospitality and Hope Volunteer Scheme working alongside others whilst gaining confidence, skills and experience as they move towards independent living. The community café supports the charity and provides volunteering and work experience for the Chai Community residents and other individuals and organisations seeking to support our work. 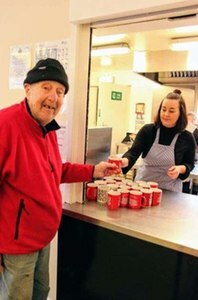 The café plays an essential part in supporting people back into work and society, whilst offering employment to other unemployed people living in the local area.